There are over 77 million Millennials (ages 18 to 36) in the United States. They comprise 24% of the population. Millennials are less likely to marry than previous generations, only 21% have tied the knot compared to 42% of Boomers at the same age. But not being married is not slowing them down from having children. While just 21% are married by the age of 36, 56% of Millennials have children and by the age of 34 the percentage rises to 83%, whether they are married or not. Millennial parents have their own unique generational values that you need to know and understand if you're going to reach them and their children. Let's look at some of these to better understand the Millennial mindset. Millennial parents are diverse. They are more ethically and racially diverse than any previous generation. 44% of them are non-white - including 19% Hispanic, 14% African American and 5% Asian. By 2050, it is expected that the Hispanic and Asian populations will grow by 167% and 142%. This means that the children of Millennials are already 50/50 white and non-white. 71% of Millennials say they appreciate the influence of other cultures compared to only 62% of Baby Boomers. Churches and ministries that want to reach Millennials and their children must reflect their diversity in their advertising and content. Millennial parents invest in their children. Millennials have grown up in an age of difficult financial times. This has made them price-conscious and savvy when it comes to spending their money. They look for shopping deals and ways to save money. The top 20 apps used by Millennials are either retail or discount-focused. While they are careful about how they spend their money, there is one thing they will open their wallets wide for...their children. Millennial parents outspend Gen X parents on child-friendly products. And when it comes to spending money on their children, quality trumps quantity. Millennials are 14% more likely than Boomers to pay a premium for an innovative new product and 22% more likely to pay extra for sustainable brands. They want to know how things are made, where they come from and who made them. Churches that want to reach Millennial parents and their children must offer focused, high-quality programs and events that are done with excellence. More than ever, if you provide a great environment for children, you will grab the attention of their parents. Millennial parents are willing to drive across town for a great children's ministry even if it mean by-passing nearby churches that don't offer great children's ministry. Millennial parents live and breathe technology. It is a big part of their identity. They have grown up with cable, internet and cell phones. And they are very good at adopting new forms of media. Here's an example. They are strong magazine readers - even stronger than Boomers. But much of the reading is done digitally. 40% of Millennials use a TV but with a connected device. They are still consuming content, but in ways they can customize. Customization is a big part of the technological future of Millennial parents. Churches that want to effectively connect with Millennial parents will keep up-to-date with technology and use it to communicate with them. 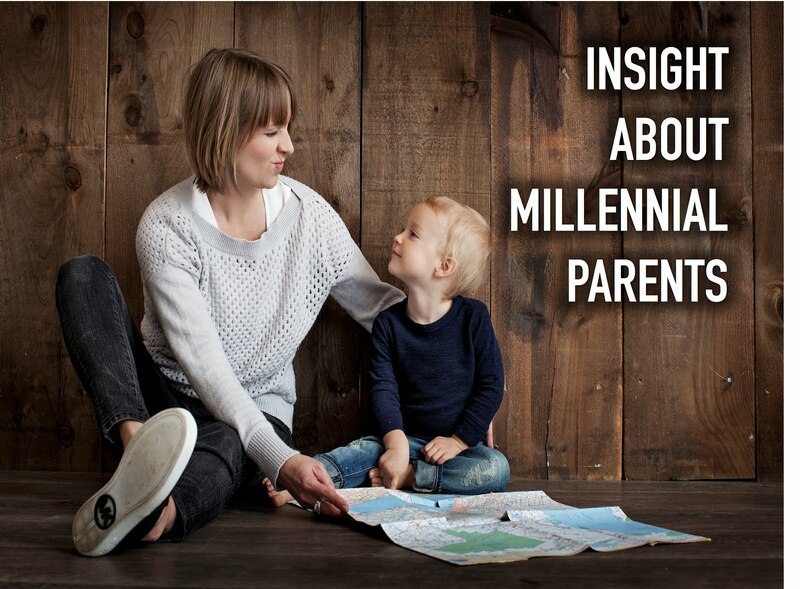 Do you want to reach Millennial parents? The key is going to be continually seeking to understand their unique characteristics and approaches to parenting and adapting our ministries to meet their needs.